Review:From March through May 2018, I watched all episodes of the “Roseanne” reboot. I enjoyed those, so I then watched all episodes of the original nine seasons of the program. Up until the ninth season, the shows were very good. I came to think of “Roseanne” as one of my all time favorite shows. Though I disagreed with the decisions that led to the creation of “The Conners,” as a fan of the original series, I decided to watch the pilot of the new show to give it a chance. It was such a disappointment. In addition to missing Roseanne, the episode itself was terrible. The writing was not good and the episode felt awkward and forced. What I liked about “Roseanne” was its honesty. Most of the episodes felt real. “The Conners” felt like a sloppy piece of work hastily throw together by a group of people that didn’t respect their audience. I believe the pilot episode’s ratings will be by far the best for the season as some fans of the original like me will have tuned in to say goodbye to Roseanne Conner. “The Conners” will soon be cancelled. It is such a waste. What a foolish decision by ABC to cancel their number one show and tarnish the original show’s great legacy by firing Roseanne Barr for political reasons. Instead of ABC and those who work on the show having a cash cow, they have now insulted their old fans, led to a situation that will soon put hundreds of people out of work, created enmity toward both ABC and some cast members who have publicly spoken out against Roseanne Barr and killed a well loved show with decades of history. This entire situation could have been avoided if Channing Dungey and Ben Sherwood had been good business people. Sadly, the damage is done. It is terribly sad. 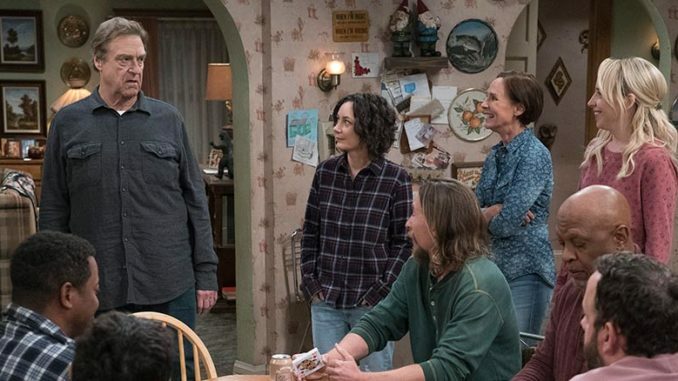 “The Conners” will forever be television’s version of New Coke.